Snowy owls are arriving in southwestern Ontario for the winter, but life isn't always safe down south. It's only mid-November and snowy owls have started arriving from the North for wintering food. But it's not all fun and games for these round-headed white birds — already, they're falling victim to windows and hydro wires, and being hit by cars. Snowy owls live in the Arctic where there isn't as much vehicle traffic as southern Ontario, said Lesley McDonell, a terrestrial ecologist at Hamilton Conservation Authority. When they're focused on catching their prey, especially along the roads, it's hard for them to avoid cars coming at highway speed. "They're not used to looking for a car or a truck coming," said McDonell. 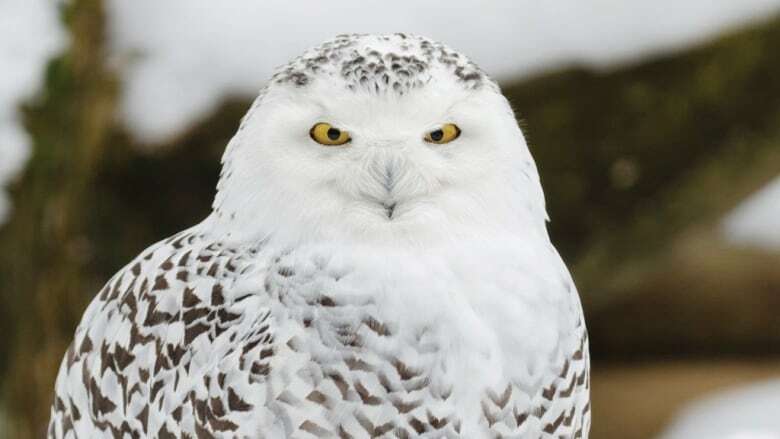 Bruce Mackenzie, the director of the bird study group at Hamilton Naturalists' Club, said two out of three snowy owls the group has sighted this season have been hit by vehicles. He added it's hard for people to drive slower or avoid them because most owls tend to be low fliers, and having an owl fly into your vehicle is "sort of a once-in-a-lifetime occasion." Hydro poles and windows also pose a challenge for these owls. "Bird watchers always appreciate being able to see one and usually our thought is, 'Wow, I hope it can survive the perils of southwestern Ontario.'" Snowy owls live in the Arctic for the summer and feed there on lemmings. However, the lemming population doesn't stay the same. McDonell said in the Hamilton region, there are usually several snowy owls that will come down for the winter and stay until March. "Sometimes the food they eat up North goes down a lot, it crashes, and a lot of them will come down," she said. "It's usually kind of like a cycle." The owls also feed on mice, voles and other small mammals. In mid-November, it's hard to tell if 2017 will be a big year for snowy owls in Hamilton and surrounding area. "It's good for tourism when we have a good year. People will come from quite far to see them," she said. The Naturalists' Club has yearly winter outings to see hawks and owls. "If you happen to see a snowy owl, that's just good fortune," Mackenzie said. 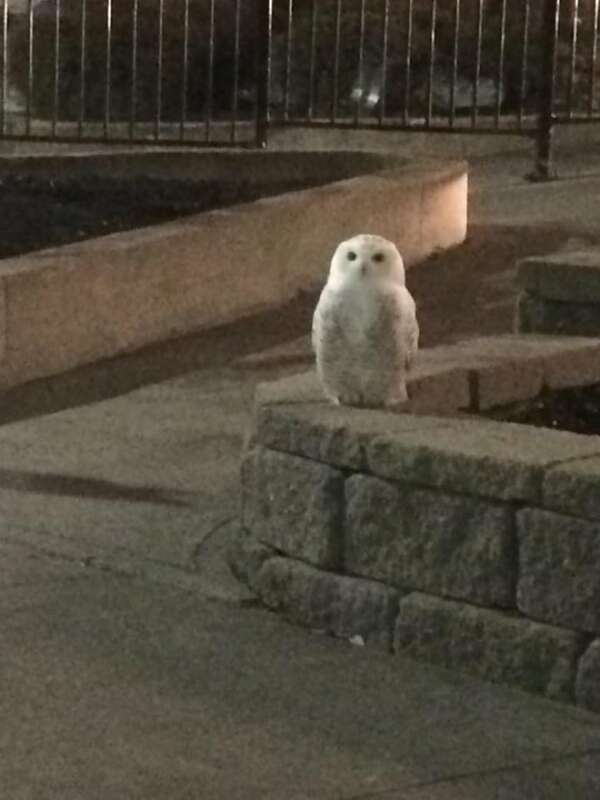 It's unpredictable where people can spot these owls, but he said they tend to be attracted to shoreline such as Burlington Bay or Bronte Harbour. Snowy owls like to perch on structures such as fence posts or stay on the ground. Social media platforms have gotten increasingly popular to announce bird sightings, according to Mackenzie, making it easier for enthusiasts to find them. "Bird watchers have always enjoyed winter bird watching, but it's usually been by word of mouth and not by keystrokes that we find out where birds are." However, James Lees, a conservation technician at Hamilton Conservation Authority, is hesitant to reveal the locations, even though he has seen several since last week. "They attract a lot of attention and they get harassed by photographers particularly." People have bought mice from pet shops to lure owls so they can photograph the birds, Lees said, an act he called "owl baiting." While he was careful to say not everyone is disruptive, he warns people should give the birds the space they need. "If you've got a reasonably good view and the bird's happy, then leave it at that."